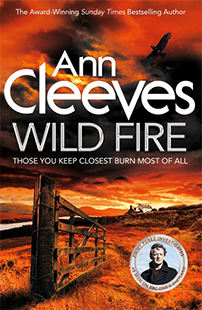 From award-winning and Sunday Times top five best seller Ann Cleeves comes the eighth, and final, novel in the Shetland Series – a major BBC One drama starring Douglas Henshall as DI Jimmy Perez. Shetland: Welcoming. Wild. Remote. Drawn in by the reputation of the islands, an English family move to the area, eager to give their autistic son a better life. But when a young nanny’s body is found hanging in the barn of their home, rumours of her affair with the husband begin to spread like wildfire. Wild Fire is published by Pan Macmillan Australia and is available from all leading book sellers including Booktopia.